This poem is taken from my recent collection, Paper Patterns (Lapwing 2012). 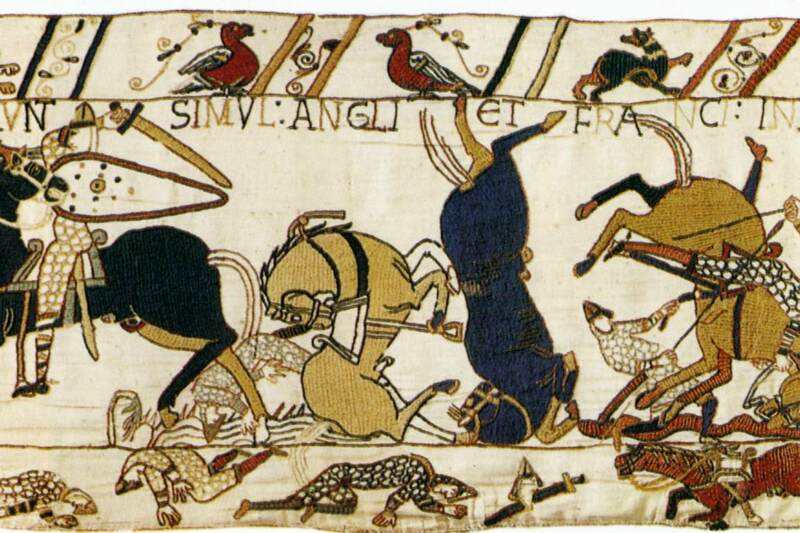 I wrote it as a response to seeing the Bayeux Tapestrey, when I was on Penelope Shuttle’s course in Normandy in 2011. The falling horses in the battle, ambushed and falling into a pit, in contorted shapes, reminded me of The Grand National and the horses who are killed in that race every year. shackled with bridles, chain-stitched threads. their hoof beats rang through yards of cloth.